Home :: Earrings :: E0508 - Faceted Blues 1.75"
E0508 - Faceted Blues 1.75"
The blues of these earrings sparkle like the ocean at night. 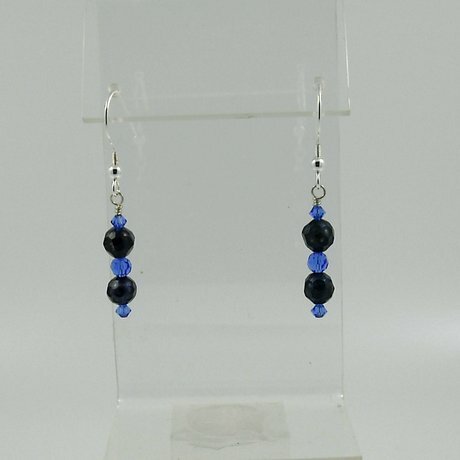 Navy blue faceted pearls and Sapphire blue Swarovski crystals will remind you of rolling waves as they swing gently in your ears. Sterling silver French hook ear wires with dangles made from faceted 5 mm freshwater pearls and Swarovski crystals.